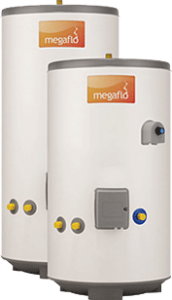 Megaflo / unvented hot water systems are designed to ensure you get equally high pressure in every room of your home. You’re always in control with the tap, and it’s good to know you can have your bath filled faster and command more power. Whether you live in a studio flat or a house with multiple bathrooms, there’s a Megaflo made for you. No noisy unhygienic tank in your loft (a must for loft conversions). No noisy expensive shower pumps. Great pressure at your taps and showers. Quicker and more energy efficient at heating water and retaining water temperature.